This review is of the Deluxe, $29.95 a month, box. The Cost: The Boomerluxe Deluxe box is $26.17 USD ($34.00 CDN) + 8.22 USD shipping. The Boomerluxe Mini box is $14.99 USD ($19.99 CDN) + 8.22 USD shipping. Save with 3 and 6-month subscriptions. COUPON: Use code MARCH15 to save 15% off a past box! Check out all of our Boomerluxe reviews and the Women’s Subscription Box Directory! 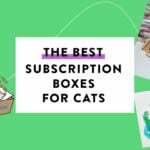 Keep track of Your Subscriptions: Add this box to your subscription wish list! The Boomerluxe Deluxe box came with a product card listing the products for the month along with their value and the other card enclosed is a promotional card for Boomerluxe. This beautiful silk tie dye grey scarf has black trim and four colorful blue tear drops down the middle and is a nice addition to this box. The scarf is lightweight and the edges were fraying so I had to trim them, but it was not a big deal. This will pair nicely with my wardrobe and a cute accessory to add to my purse. The scarf is my favorite item in this month’s box. These firming eye pads come six in a packet. I didn’t find these particular eye pads on their website. I applied the eye pads under my eyes and left on for 15 minutes. They gave moisture to my under-eye area and felt cool as I was wearing them. I love eye pads and like how they sent a packet of six to use. This natural deodorant is handmade in Toronto and consists of shea butter, coconut oil, arrowroot flour, baking soda, kaolin clay, emulsifying wax, and Moroccan rose essential oil. This is my second time trying an all-natural deodorant and my body took some adjusting. After continuous use, it worked. This deodorant worked well – I applied in the morning and by the end of the day, there was no noticeable body odor. This lavender scent body lotion is intended for everyone in your family and consists of coconut, olive oil, cucumber and is free of silicones, parabens, phthalates, synthetic fragrances, dyes, formaldehyde, PEG, and most common allergens. It’s a moisturizing, non-greasy lotion, with a lovely scent that faded after applying. I wasn’t able to find the everybody lotion by itself only in a set with the accompanying products in the link. This is a gel to enhance intimate activities by increasing stimulation. Verdict: The Boomerluxe Deluxe box has a retail value of $111.98, which is an awesome deal for a $26.26 USD! I received a lovely assortment of products to encourage any woman over 50. What do you think of Boomerluxe Deluxe box? Well I was considering getting a subscription for my mother as a gift but as soon as I saw “pleasure gel” I was immediately turned off. While I am well aware that Women over the age of 50 can be sexually active its definitely not something I want to encourage for MY mother by sending her this box with that kind of product. I think its a safe assumption that older generations are much more modest when it comes to sexual activity. My recommendation for you all, if you are targeting women 50+, leave anything sexual out of it completely! This Box could include such a variety of things that sexual items just aren’t necessary. That is just my opinion. I’m 58 – and not insulted by this box. It’s a Boomerbox, not old lady box. We are boomers- booming amazing, but different than 20 somethings. I’ve done the Ipsy, Birchbox, and Glossybox. I have so much glittery eye shadow and bronzer and eyeliner and shiny lipgloss from these boxes, that I can’t give it all away. I appreciate the request from the box developers wanting input. So, a theme – this is a good way to get the excitement up. I now appreciate foot care products, heavier moisturizers, sun damage prevention /protection (finally); I work very hard at my job – I appreciate products that enhance a professional image – like a good manicure with a edgy ink pen in hand; and I love to have fun on weekends – jewelry, hats, mittens, and handbag charms. I’ll probably watch a couple of more reviews before I decide to buy. I am 53 and have numerous subs; FFF, Pop Sugar, Rachel Zoe BOS, BB, Sephora, Sisley, Beautyfix, and a few for my kids. I’ve recently cancelled several beauty subs because of product overload. I’m looking for this type of sub geared for an older, not old, customer. I don’t want anymore black eyeliner, glittery eye shadows, and bright lipsticks. I enjoy getting neutral lip products. Moisturizing lip, hand, and body products are always nice. I enjoy trying high end skincare but generally I have my favorites. In general with boxes, I like getting things that will be used and gone i.e. Chocolates, candles, snacks, beauty products, etc. I don’t want a bunch of stuff sitting around. Thank you for your support, it truly means so much to us. We value input, so yes, that is exactly why we asked the question. We have a Women Supporting Women program where each month we include at least 1 small batch, artisianal product made by an incredible women. This is a win-win, she gets the product out and we give her a platform. And Angie, you were 100% correct. We have received boxes in the past with cosmetics in colors we wouldn’t dare wear and with no other box for us, women 50+ we started Boomerluxe. Thank you for your positive comments. Life is so much better when we are kind to one another! Well, since you asked Boomerluxe….this box is too heavy on beauty/skincare IMHO. There are other boxes that do this better. I personally do not use/trust skin care made in China. I’m not loving the scarf, that is just my opinion, and scarves have been so frequent in sub boxes that to stand out they need to be really special. I am 53 and would not order this box. I’m not seeing a theme, or curation, other than here’s a box for you older wrinkled ladies. I don’t mean to sound unkind, but when you market to an older age group its very hard to not seem ageist. As your target audience I can tell you, i would prefer to get one Rachel Zoe box, at $100 but with really high quality, thoughtfully curated items, than 3 boxes like this. maybe adding jewelry, and some nice home items might help you stand out in what is an extremely competitive market. Good luck. I think this box looks great! Thanks for the review, Nich. I am 50-plus and am just beginning to dip my toes into the subscription box area — I received a lovely Nest gift subscription from my daughter for Christmas. I appreciate that the Boomerluxe curators reached out for suggestions. That’s a great idea!! Customer feedback is how any business or industry improves. Anyway, in addition to the clever ideas included in this box, my suggestion would be something we could use in our work life, since many Boomers are still working. Heading over to subscribe now! Well I’m 56 and the box didn’t thrill me. Thank God beauty is in the eye of the beholder because I think that scarf is ugly. I’m not sure what natural deodorant has to do with my age, I feel like younger women might be into trying more than women my age, but of course that is just me. I feel like this box trying to cater to women over 50 is a bit insulting. I am not old by any means considering the average life expectancy is 75-80. I have many years to old and I don’t want to be rushed. Wish I had known about this box earlier since the March box seems very well curated and I was disappointed to learn that it was sold out and I missed my opportunity on this specific box. I think this box is absolutely lovely for a woman of any age, but I do think a woman of a more mature age would particularly appreciate these items. Also, I think it is wonderful for a subscription box company to take an actual interest in their (potential) customer’s feedback. I wish more companies would care as much. The value is good, but it just seems like yet another women’s lifestyle box. What do any of these items have to do with a 50+ woman?? It doesn’t seem like a lot of thought went into the curation. I agree. I’m over 50. How is this suppose to encourage me? It’s not a bad box, it doesn’t stand out nor is there anything in there that seems to target the over 50 age group. We, at Boomerluxe, would love to know what items you think represent women 50+ that you don’t see in this box! We have 100% pure silk fashion, we have anti-aging, we have sexuality, we have all-natural deodorant & moisturizing products. Feedback is our best friend. Can’t wait to hear and hopefully add these too! Why should we do our job for you? All of the items you just listed can be for any age… I’m not getting it. You might want to rethink your target audience. I’m not over 50, but I wish I could offer some suggestions as it seemed a genuine request for positive feedback. My mother is and I think she’d like this box. She’d love essential oils, good hand cream, natural sun screen, tea, red hat society stuff, anything wine related, gardening, etc. again, maybe not specific to over 50 but I’m not sure exactly what that is either. I agree with Anna. I would rather a company solicit customer feedback than assume what I want. Kudos to Boomerluxe for asking and kudos to them for not sending items that are stereotypical of the 50+ crowd. How , exactly, are they asking you to do their job for them? They asked for constructive criticism, not your snotty reply. I’m not over 50, but this box seems like a perfectly lovely box for any aged woman. I wasn’t aware that once you turn 50 there are only certain particular products that would be of no interest to anyone of any other age. That’s bizarre. Yes women of all ages could be interested in these products but the curation is meant that ALL products could be of interest to women in this age bracket. Meaning they probably won’t be including any glitter eyeshadow or any products particularly skewed to a younger audience. I just love how folks in the comments are experts at everything until you ask them how they would change it. Thank you. I am 56 and this box certainly isn’t my cup of tea at all. I have never worn a scarf in my life and that one wouldn’t entice me to start. The average life expectancy for a woman is 75-80 years old. I am not old . Really nice value and selection of items!